There’s a new viral video making its way around the internet today, and it comes from an unlikely source. 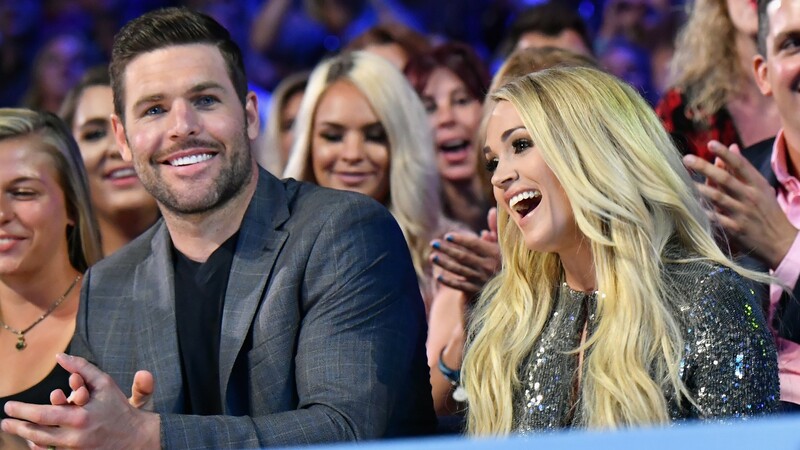 In a surprising twist, Carrie Underwood’s husband, Mike Fisher — along with his buddy Austin Casselman, with whom he co-owns the hunting apparel company Catchin' Deers — has created a hilarious spoof of his wife’s hit song “Before He Cheats” and put it on the Catchin' Deers Facebook page on Monday. The NHL star and his friend filled ET in on the hunting-themed parody “Before She Bleats,” explaining the song’s title was inspired by a sound made by female deer. Seriously, who knew he was so funny?! With swapped-out lyrics like, “Right now, he’s probably out grazing with a corn-fed doe and it’s probably getting frisky” and “Maybe next time she’ll think before she bleats,” how could Underwood be anything but amused? Considering the couple has been married for eight years and is expecting their second child together, it’s safe to assume Underwood isn’t immune to Fisher’s charms — even when they’re a bit mischievous in nature. And Underwood, who has long been a vocal champion of her husband, will undoubtedly support the spoof song if for no other reason than it was made to promote his and Casselman’s company.